The Roman politician and general Mark Antony (83–30 B.C.) was an ally of Julius Caesar and the main rival of his successor Octavian (later Augustus). With those two men he was integral to Rome’s transition from republic to empire. 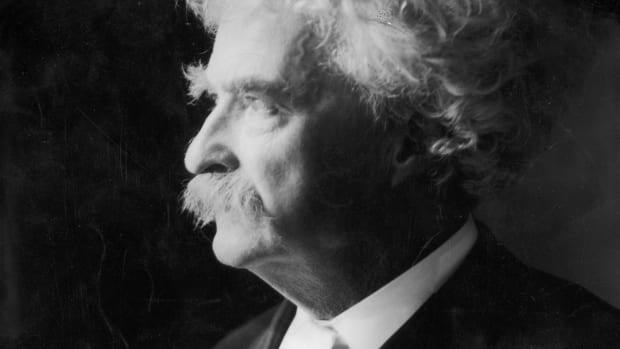 His romantic and political alliance with the Egyptian queen Cleopatra was his ultimate undoing, and centuries later provided inspiration for artists from Shakespeare to Cecil B. DeMille. 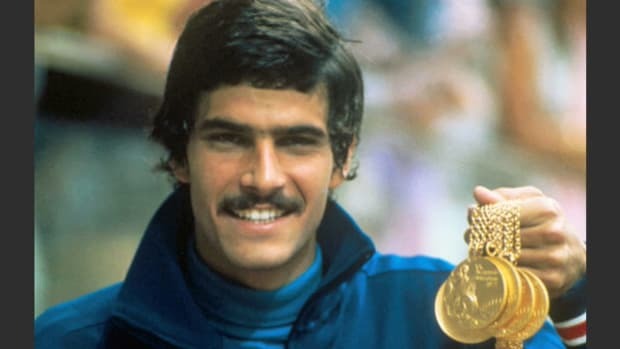 Marcus Antonius was born in Rome in 83 B.C., the son of an ineffective praetor (military commander) and grandson of a noted consul and orator, both of whom shared his given name. After a largely misspent youth, he was sent east as a cavalry officer, where he won important victories in Palestine and Egypt. In 54 B.C. he went to Gaul to join his mother’s cousin Julius Caesar as a staff officer. In 49 B.C. 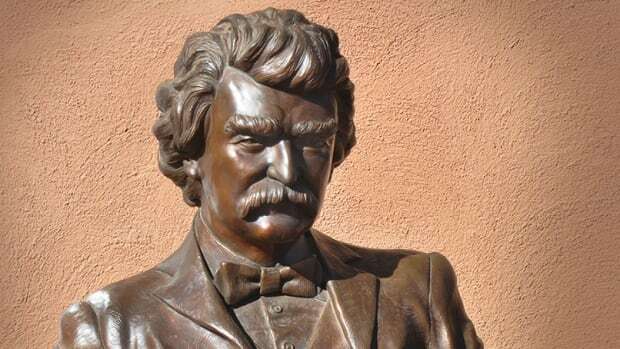 he was elected a tribune and served as a staunch defender of Caesar against his rivals in the Senate. Did you know? 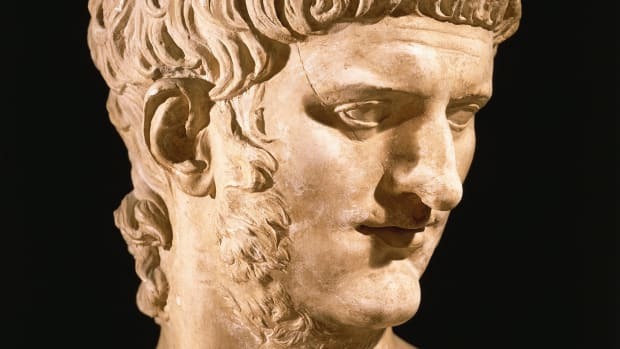 Although Mark Antony died fighting Octavian&apos;s efforts to become Rome&apos;s sole dynastic monarch, three of the first five Roman emperors—Caligula, Claudius and Nero—were Antony’s direct descendants. 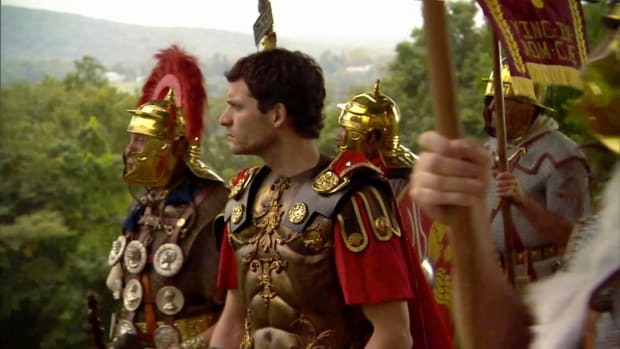 During Caesar’s first yearlong dictatorship, Antony was his second-in-command. By 48 B.C. he was in Greece, supporting Caesar’s left wing at the Battle of Pharsalus. A year later, Antony’s violent expulsion from the Senate by anti-Caesar factions gave Caesar’s legion a rallying point as they crossed the Rubicon River, igniting the Republican Civil War. When Caesar assumed his fifth and final consulship in 44 B.C., Antony was his co-consul. As the Ides of March approached, Antony heard rumors of a plot against Caesar but was unable to warn him in time. Antony fled Rome dressed as a slave but soon returned to protect his friend’s legacy from the senators who had conspired against him. He took charge of Caesar’s will and papers and gave a stirring eulogy for the fallen leader. In his will Caesar had bequeathed his wealth and title to his posthumously adopted son Octavian. Antony was reluctant to hand his old friend’s legacy to a 17-year-old, and quickly became a rival to the future emperor. In 43 B.C. their armies first clashed. Antony was driven back at Mutina and Forum Gallorum, but had proved a formidable enough leader that Octavian preferred to ally with him. 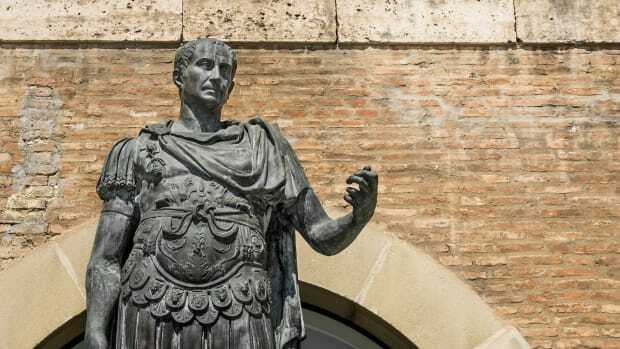 Along with their lesser rival Lepidus, Octavian and Antony formed the Second Triumvirate, splitting Rome’s provinces between them: Octavian would rule the West, Antony the East and Lepidus Africa. 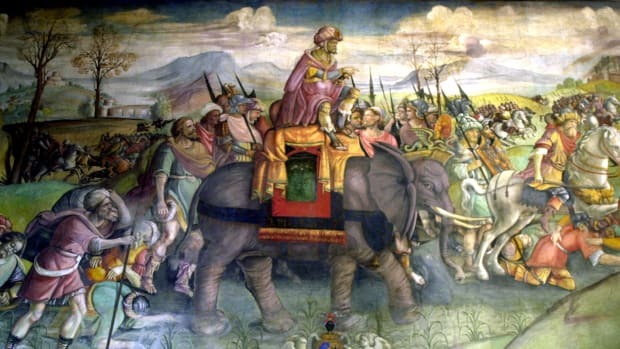 Within a year, Antony defeated Caesar’s assassins Brutus and Antonius at Phillipi, eliminating the two remaining leaders of the Republican cause in a battle that established his reputation as a general. In 41 B.C. 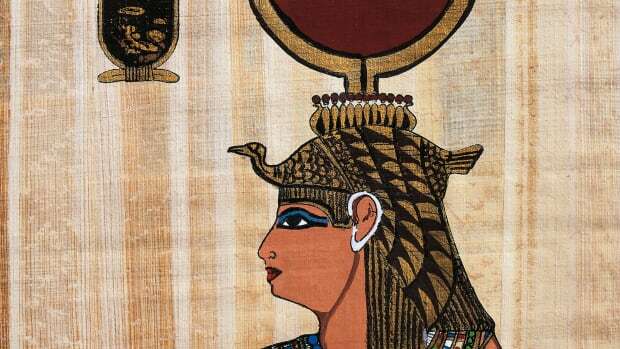 Antony began an affair with the Egyptian queen Cleopatra, who had been Caesar’s lover in the last years of his life. 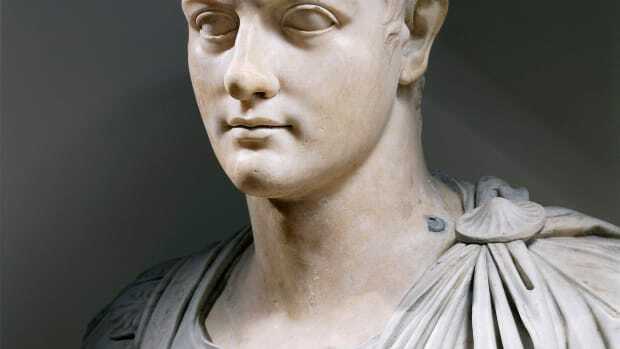 The queen gave birth to twins, Alexander Helios and Cleopatra Selene, but Antony was forced to return to Rome to deal with the aftermath of his wife and brother-in-law’s failed rebellion against Octavian. 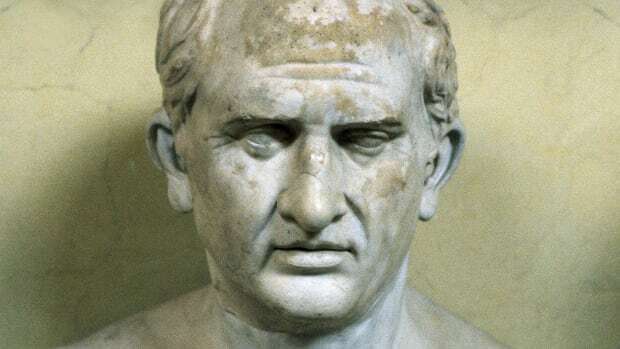 The Senate pushed for conciliation between the triumvirs, pressing the recently widowed Antony to marry Octavian’s sister Octavia Minor in 40 B.C. In 37 B.C. the Triumvirate was renewed. Antony returned to Cleopatra and fathered a son, Ptolemy Philadelphus. The lovers grew more public in their relationship, participating in deification ceremonies where they took the roles of the Greco-Egyptian gods Dionysus-Osiris and Venus-Isis. More provocatively, they paraded their three children and Caesarion (Cleopatra’s son by Julius Ceasar) in costumes as legitimate royal heirs, flaunting Roman law’s refusal to acknowledge marriage with outsiders. Politically, Antony grew more and more entwined with the Egyptian kingdom, having turned to Cleopatra for help following his failed expedition against the Parthians in 36 B.C. Meanwhile Octavian grew in strength, eliminating Lepidus from the triumvirate on a pretext of rebellion. In 32 B.C. Antony divorced Octavia. In retaliation, Octavian declared war, not on Antony but on Cleopatra. 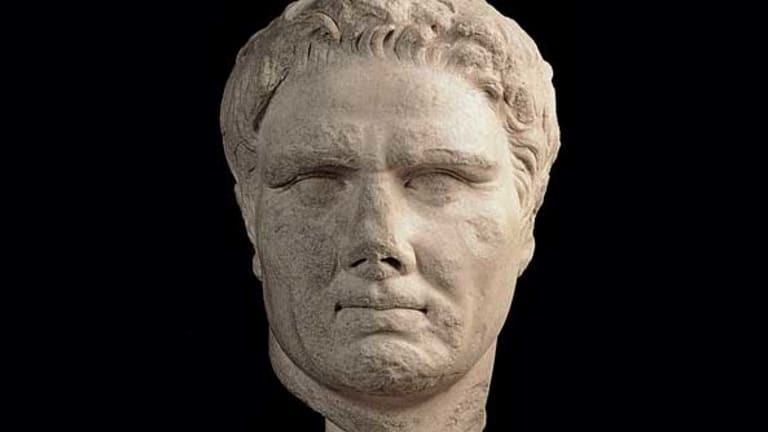 The fighting occurred in western Greece, where Antony had superior numbers but fell time and again to the brilliant naval attacks of Octavian’s general Agrippa. 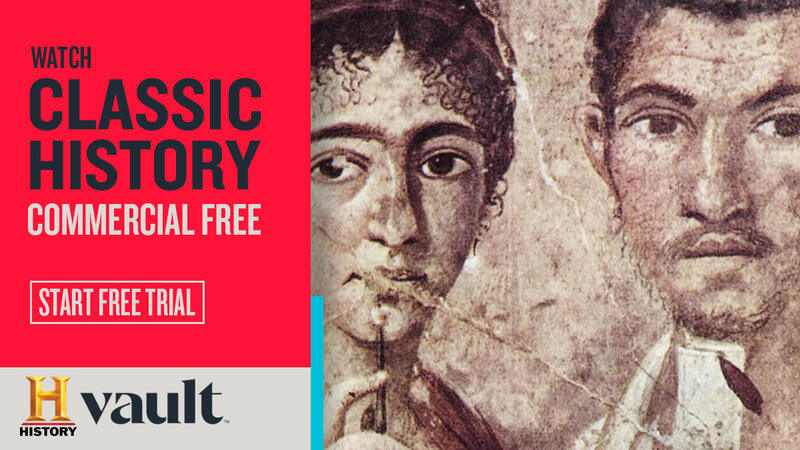 After their combined forces were defeated at Actium, Antony and Cleopatra’s remaining ships made a desperate flight back to Egypt, pursued by Agrippa and Octavian. As Octavian entered Alexandria, both Antony and Cleopatra resolved to commit suicide. Antony, thinking his lover already dead, stabbed himself with a sword but was then brought to die in Cleopatra’s arms. 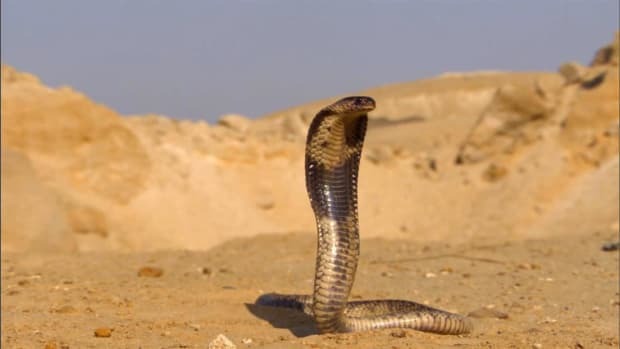 Cleopatra was captured but managed to kill herself via a poisonous snakebite. After Antony’s death his honors were all revoked, his statues removed. Cicero, Antony’s great rival in the senate, decreed that no one in the dead general’s family would ever bear the name Mark Antony again. Octavian was now emperor in all but name. 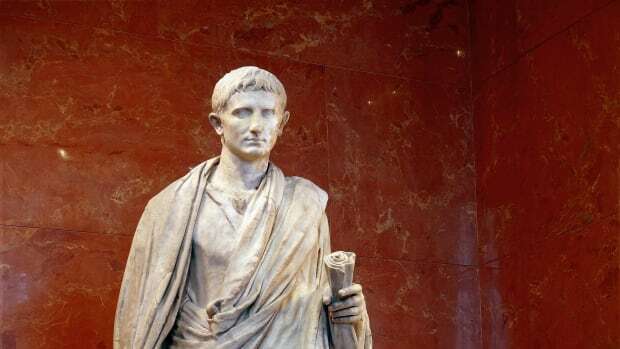 Three years later he was granted a new honorific, Augustus, and ruled Rome for the next four decades.